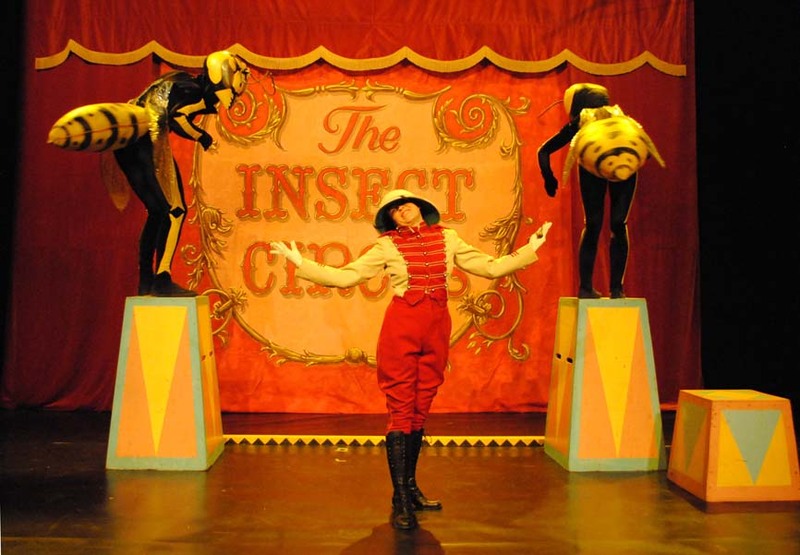 Once one has encountered the bizarre and magical world of the Insect Circus, how could one come away and forget Barbat - the Strongman and his Ants, Dungo (son of Dungo) - the balancing Scarab Beetle, Tallulah the Worm Charmer, The Heroic Courage family and their Vicious Vespa Wasps, and the Acrobatic Ants? 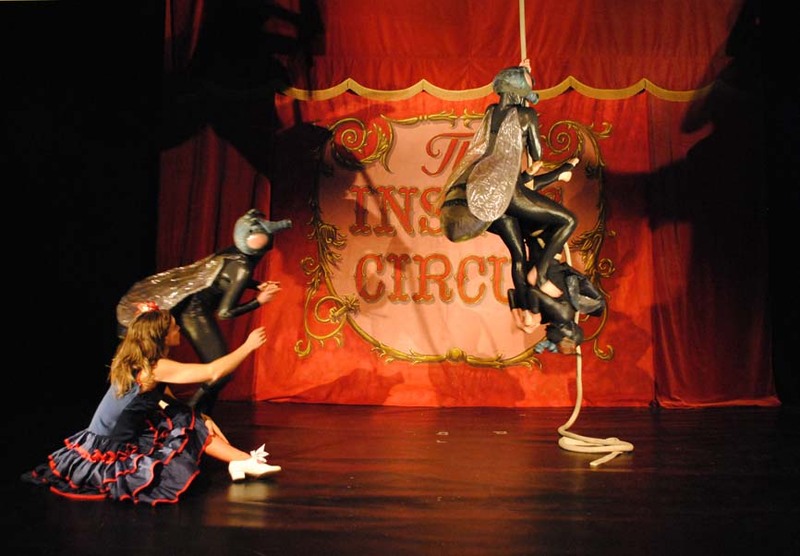 With its spectacular combination of magical world, physical theatre, circus skills and extraordinary costumes the Insect Circus is a variety show without parallel. This delightful film from 2006 was photographed by Rob Haynes and Philippe Vartan Khazarian, designed by Mark Copeland and edited by Alex de Campi. 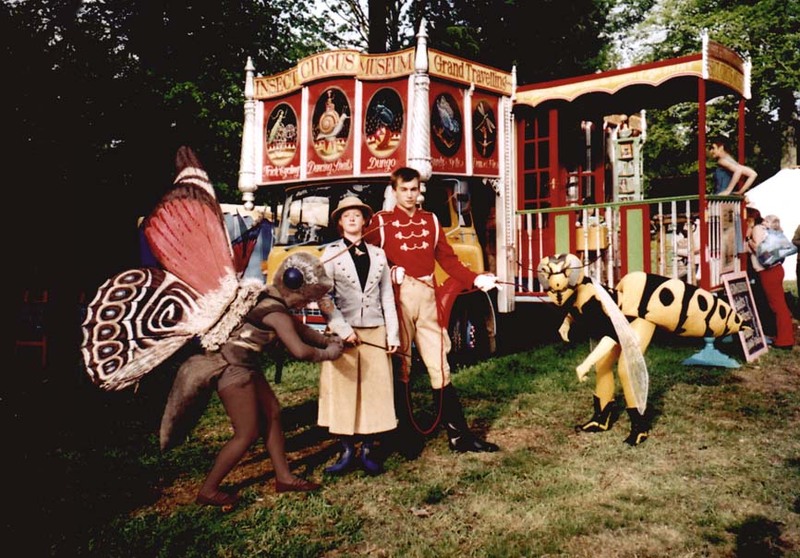 The Insect Circus Museum and Menagerie in Kew Gardens c.2005. 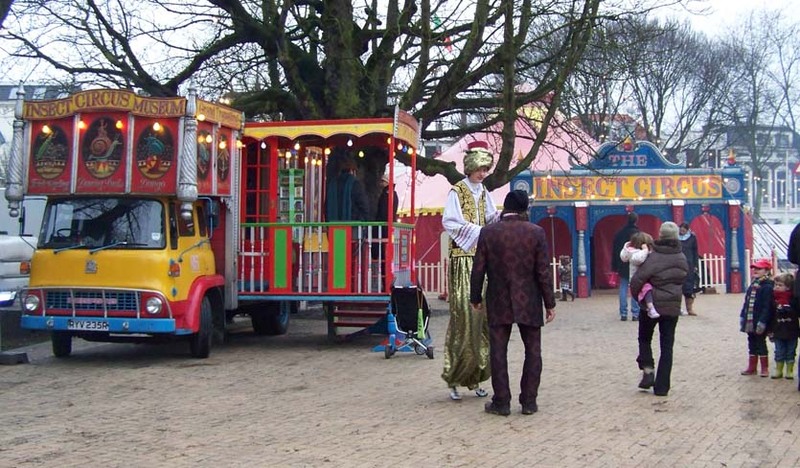 At Kop van Jut Carnivale in the Hague. December 2009. 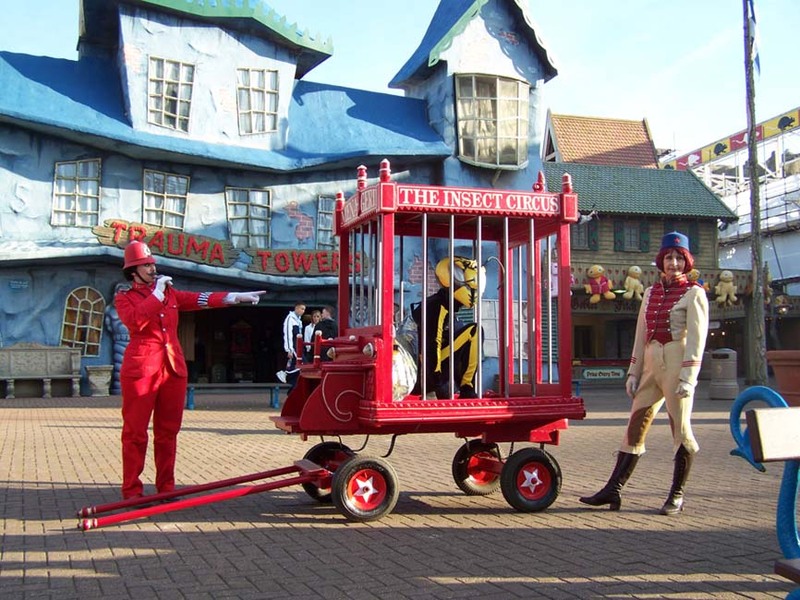 Here is a rather fine photograph of our small beast cage taken at Blackpool Pleasure Beach in Feb 2008. Charmaine Mow & the Antics. Madame Mouche and Les Fleurs de Paree. 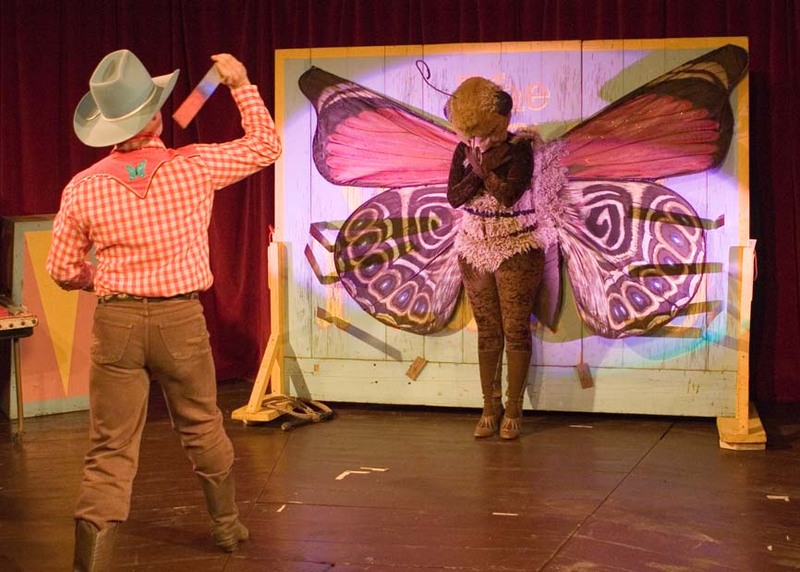 The Great Flingo and Mariposa. Constance Courage and her Vicious Vespa Wasps. Nurse Nursey and the Mighty Mites Tea Party. Albina the Awesome and one of her Mantids. The extraordinary Fakiro and Ernestina the Earwig. 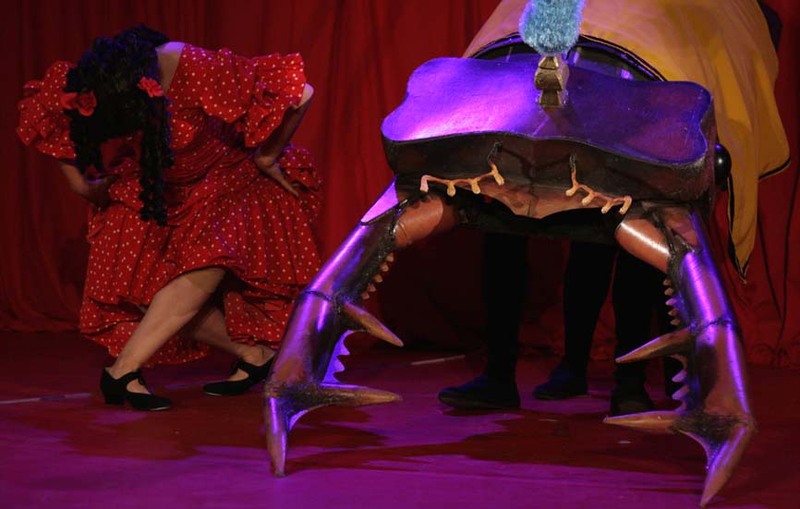 The delightful Dolores and Sylvester the Stag beetle. 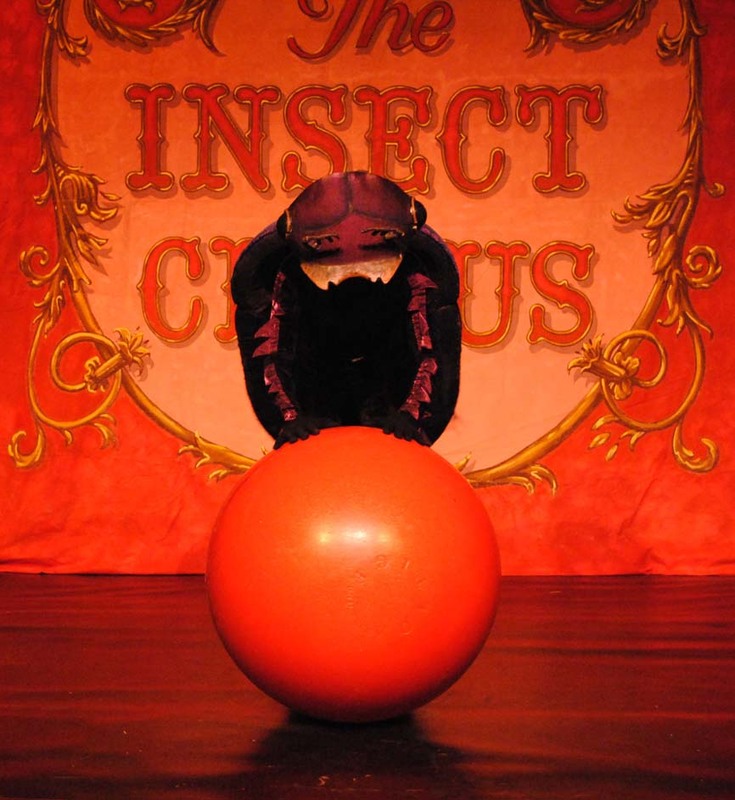 Once one has encountered the bizarre and magical world of the Insect Circus, how could one come away and forget Dungo (son of Dungo) the balancing Scarab Beetle, Tallulah the Worm Charmer, The Heroic Capt. 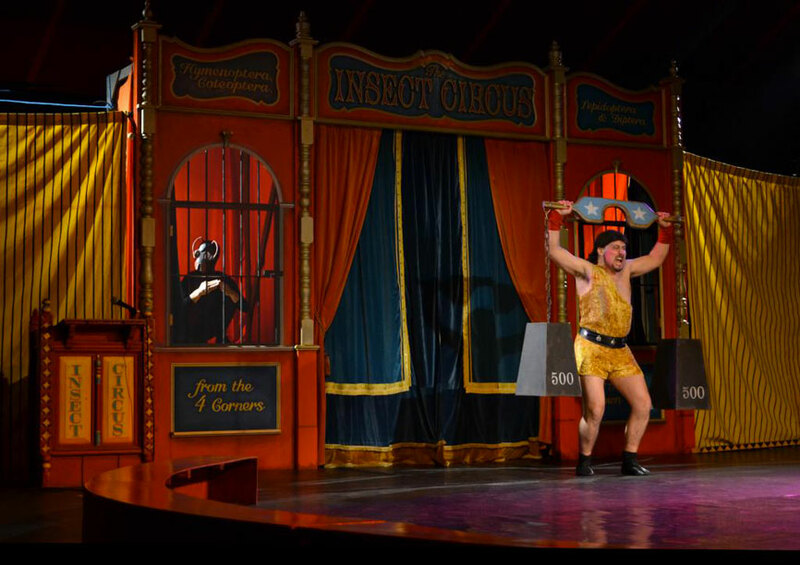 Courage and his Vicious Vespa Wasps, and the Acrobatic Ants? 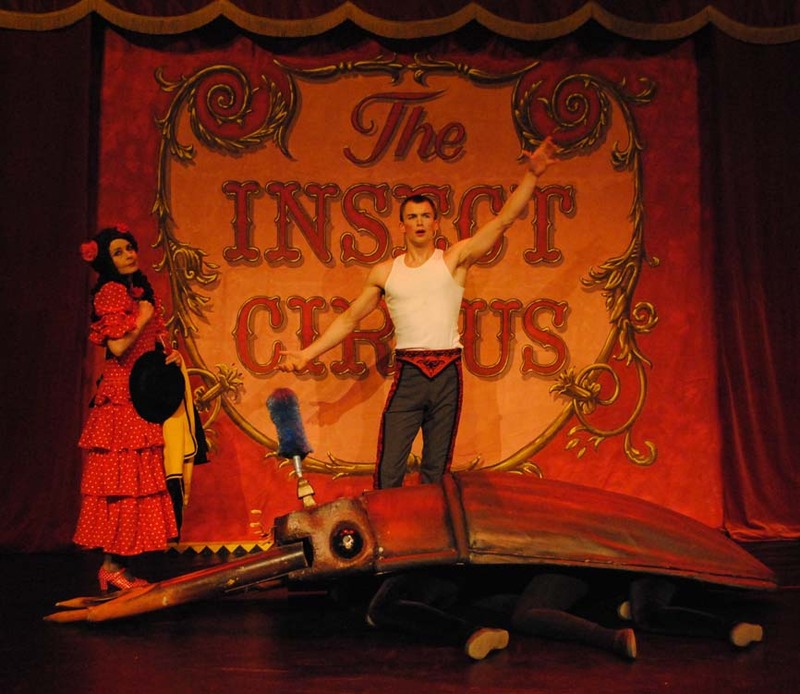 With its spectacular combination of magical world, physical theatre, circus skills and extraordinary costumes the Insect Circus is a variety show without parallel. 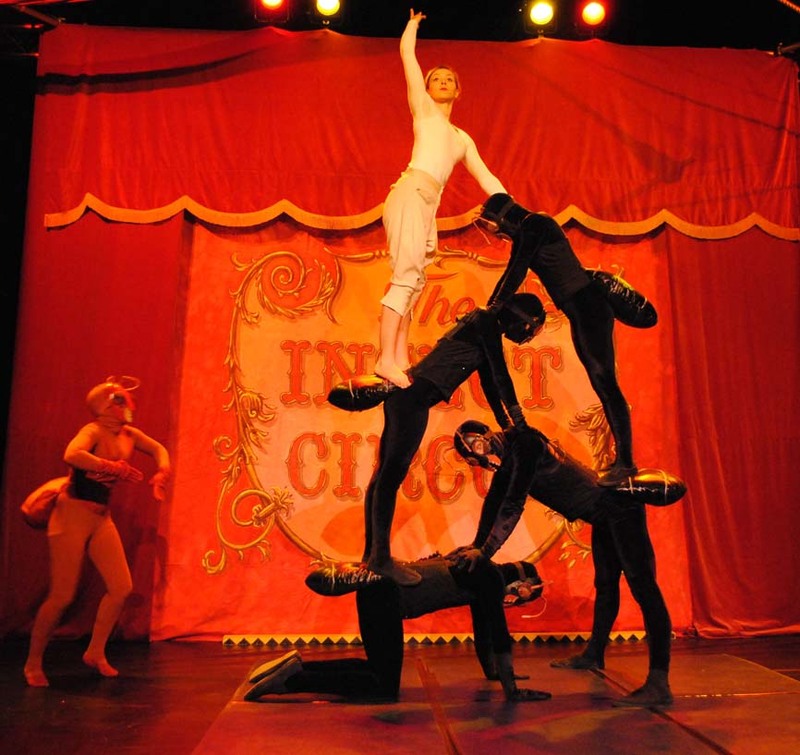 Ten performers, including aerialists, a contortionist, a knife thrower and a magician are featured in a show of ten unique acts linked by a ringmaster. So convincing was their visionary world that many were taken in by its wonderfully surreal and clever conceit. 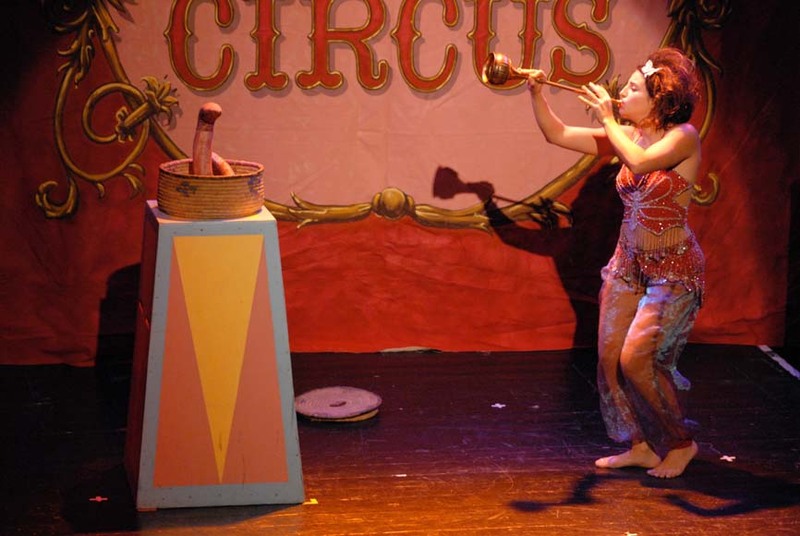 So authentic was the appearance of the artworks and artefacts on display that, on experiencing the museum, circus buffs stood aghast thrilled to have discovered this unknown treasure-trove of an extraordinary tradition. Seemingly lost to the history books, the materials within suggesting a practice dating all the way back to Roman times. 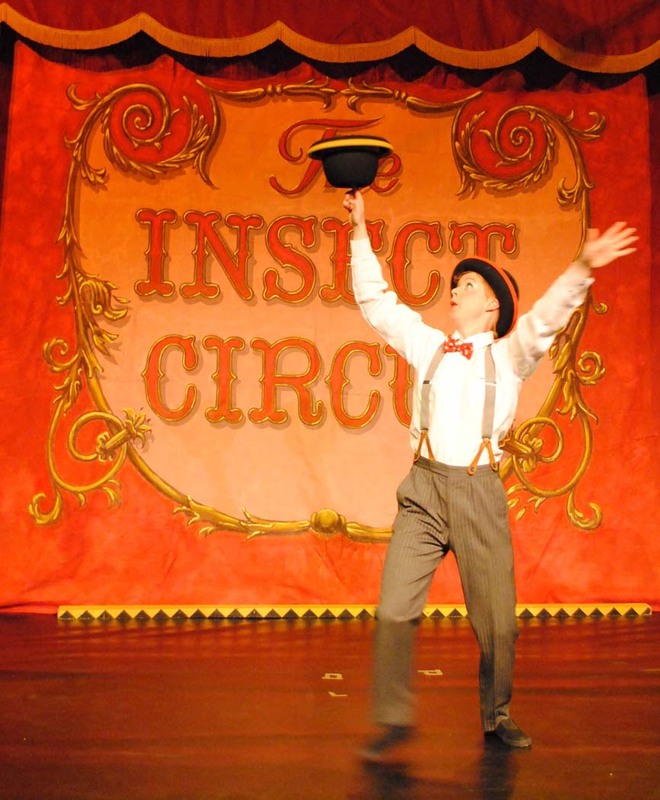 It is from the imaginings of said ringmaster, Sir Ronald McPeak (aka Mark Copeland), and of his partner Lady Bonnie Berkeley (aka Sarah Munro), that the insect circus sprang. 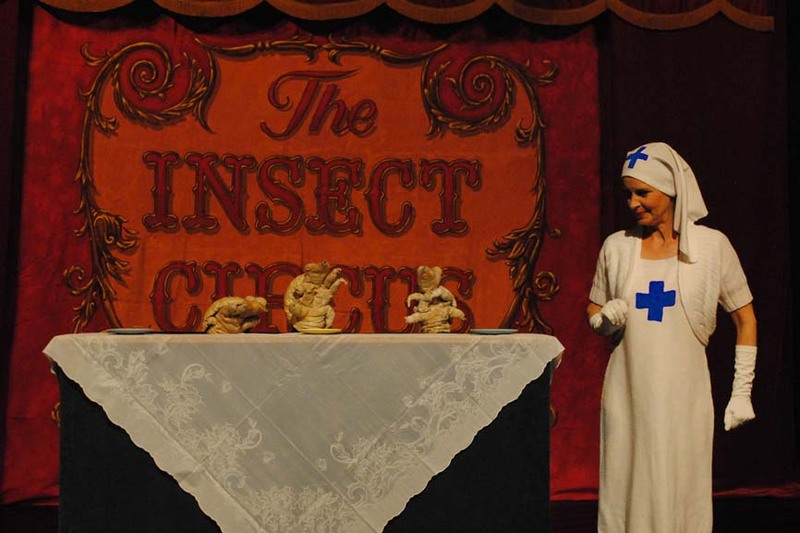 Over a two year period, they created The Grand Travelling Insect Circus Museum. 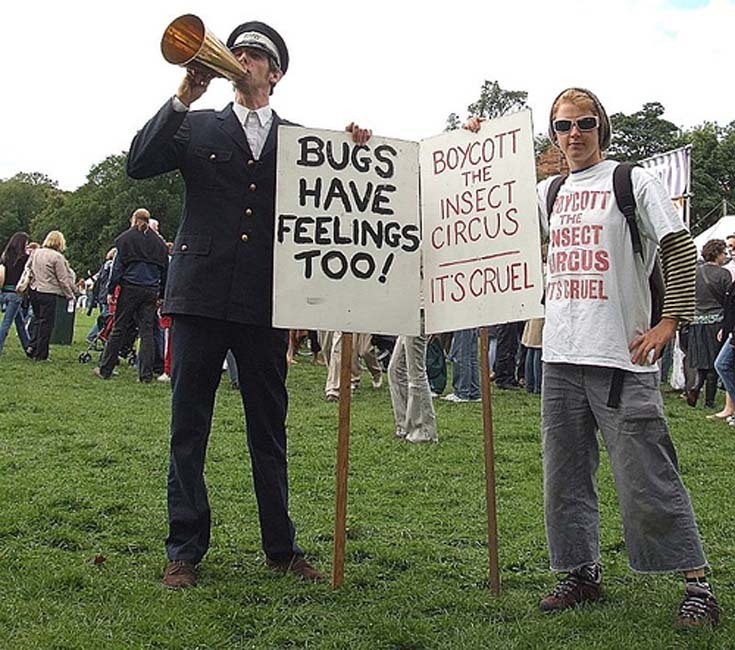 In the summer of 2004, under the guise of the Insect Circus Society, they took it on its first outing. In 2004 and 2005, touring to various street and music festivals, the museum took on a national cult following. Performers who happened upon, and fell in love with, the museum began working with Ronnie and Bonnie to create characters for a walkabout menagerie. 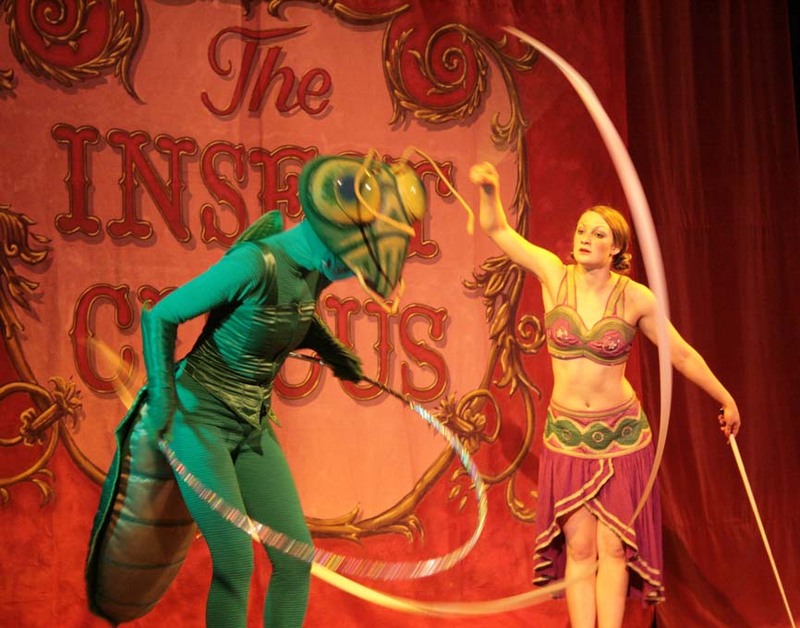 From these beginnings, the Insect Circus show was developed. 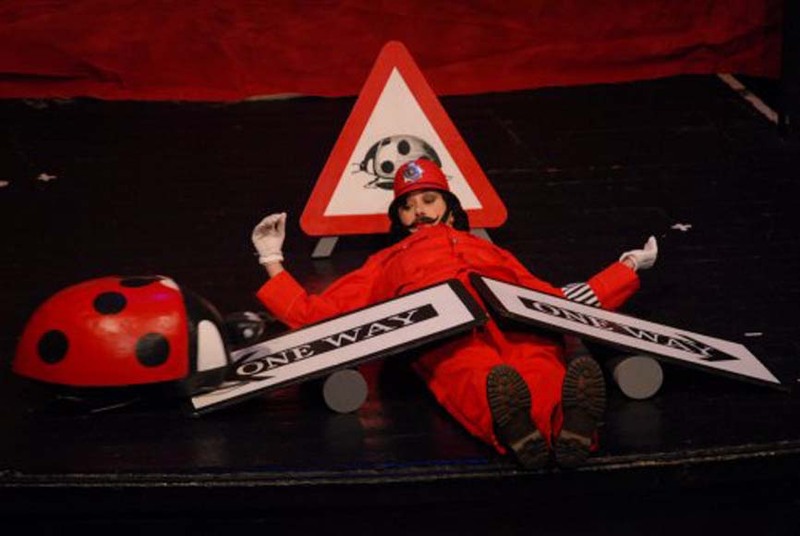 The show, which premiered in March 2006 at London's Hoxton Hall, has been presented to great acclaim at 'The Big Chill', 'Camp Bestival', 'The Mayor's Thames Festival' (in front of London's Tate Modern), Edinburgh Fringe (The Spiegel Garden), Dublin Circus Festival, 'Festival of Fools' - Belfast, Norwich Playhouse, Lakeside Arts Centre Nottingham, 'Showzam' - Blackpool, 'Kop van Jut Carnivale' - The Hague, 'Circus World Festival 2010' - Carouge - Geneva and many more festivals and theatres. A constant irritation - protesters are here joined by an officer from the RSPCI. 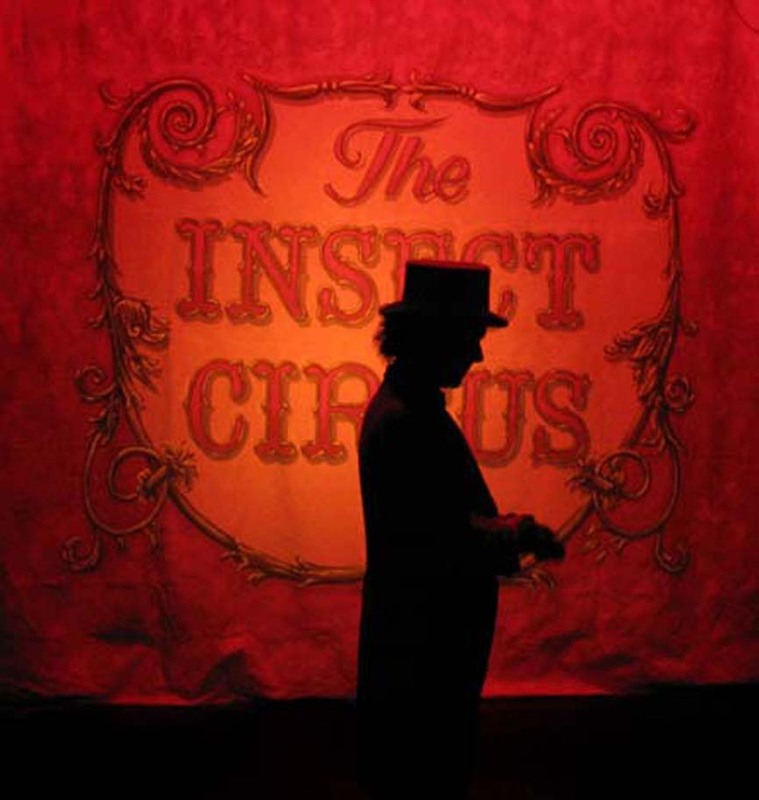 The Insect Circus @ Carouge en Cirque 2010 from Fabio Manozzi on Vimeo. 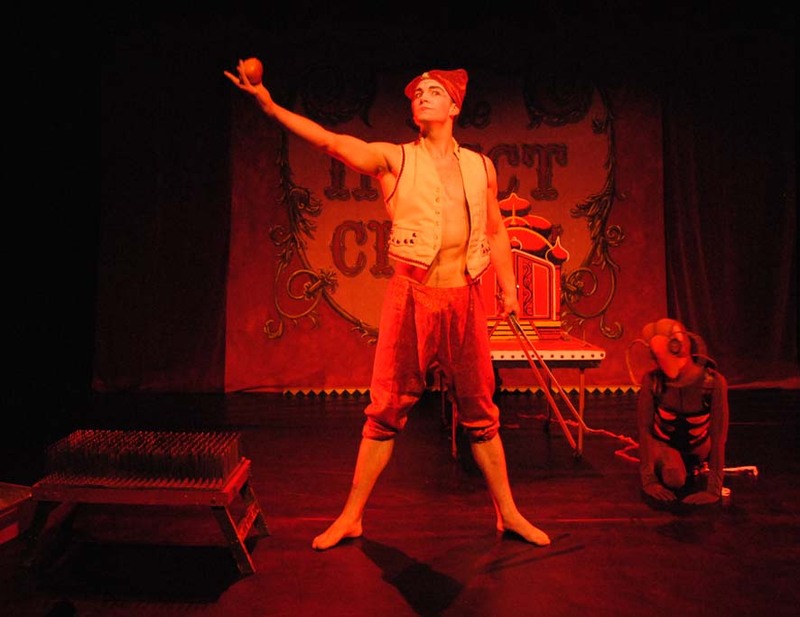 The Insect Circus at Carouge en Cirque, April 2010 Filmed and edited by Fabio Manozzi. A lovely little Swiss Info film of our excursion to Geneva in April 2010. Elise Audeyev, Sophie Avigdor, Persephone Bayley, Chris Bull, Annabel Carberry, Marisa Carnesky, Mark Copeland, Pippa Coram, Simon Darling, Ashling Deeks, Marcos Rivas Farpon, Morgane Jaudou, Emily Laurens, Sara Lundstedt, Marawa the Amazing, Claire Marshall, Vicki McManus, Lyndall Merry, Sarah Munro, Alex Poulter, Rowan Reid, Pemma Ricardo, Bungo Richardson, Massimiliano Rossetti, Rasp Thorne, Leon Thorpe and Freya Watson. Photograph credits: April Angell, Ben Munro, Martha Copeland, Mark Copeland and David Lopes. 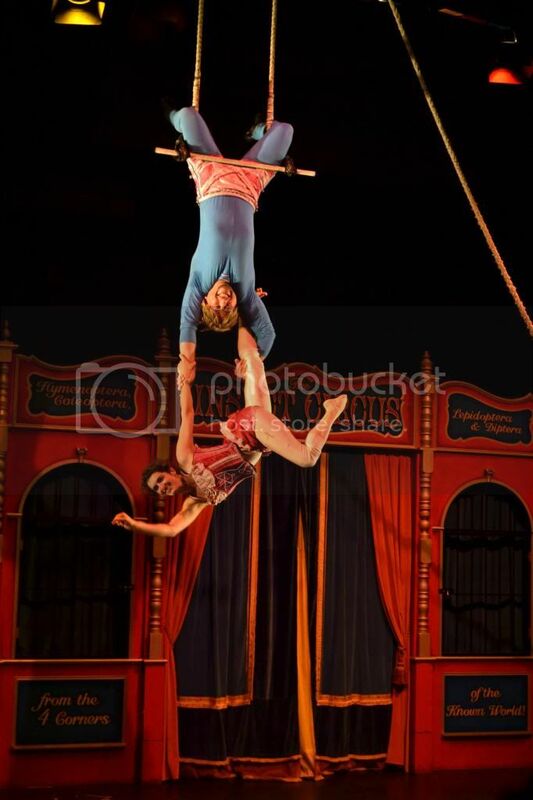 The Insect Circus is proud to have had support from the above individuals and organizations.